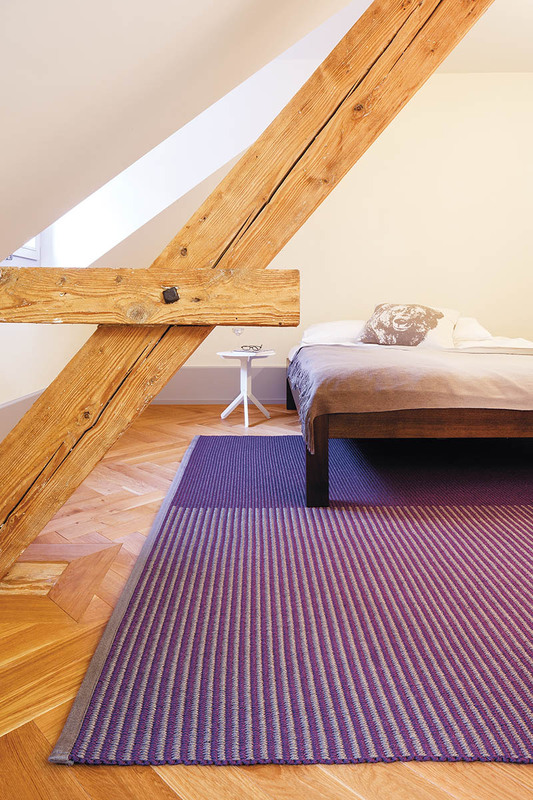 Fifty Fifty – a sisal carpet which makes its mark. This is material aesthetics, geometry and style in conjunction, coming together to produce an exceptional carpet. Fifty Fifty is and remains a classic, and is obtainable in four colour combinations.